Be good to your digestive system and it will be good to you. Our overall health relies on the health of our gut. Here are a nutrition consultant’s suggestion on how to improve digestion. Start at the beginning and add one step per week until digestion is good. Do not rush while eating or eat while you are upset. You do not secrete adequate digestive juices (enzymes and hydrochloric acid) when you are stressed. 2. Chew your food thoroughly. Chewing helps us to relax, and breaks food down into pieces small enough to allow our digestive enzymes to work on them. Most of our carbohydrate digestion occurs in the mouth if we chew and mix the food with our saliva. Liquefy your solids and mix your liquids with your saliva as well. 3. Do not drink cold beverages before you eat or during meals. Cold numbs the stomach, reducing its ability to secrete enzymes and hydrochloric acid to digest the food and its ability to mix the food with these secretions. Water also dilutes digestive secretions, reducing their effectiveness. 4. Do not overeat or overfill the stomach at any one time. This can exceed your digestive capacity leading to indigestion, gas, bloating, heartburn and reflux. Poor digestion will prevent you from absorbing important nutrients. 5. Avoid refined foods and food additives. Sugars and refined starches often ferment, creating gas and causing reflux when digestive secretions are inadequate. 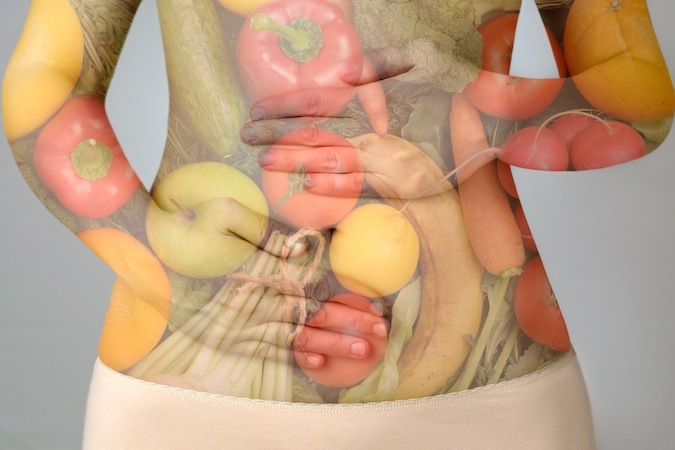 Refined foods and additives are also devoid of the nutrients that are necessary for digestion. 6. Avoid combining proteins with starches or fruit. Vegetables should be combined with either proteins or starches. Eat fruit alone or leave it alone. 7. If you still have indigestion, try 1 teaspoon of apple cider vinegar. Add in 1⁄2 cup warm water sipped slowly 10-15 minutes before a meal. 8. Or, instead try digestive bitters. 1/2 to 1 teaspoon in 1⁄2 cup warm water sipped before a meal. 9. If digestion is still poor, take professional quality digestive enzymes during the meal. With additional betaine hydrochloride (HCl) if needed. Be good to your digestive system and it will be good to you.